The grain elevator in Eskbank, SK, Jan 2007. Copyright by Gary Rich. 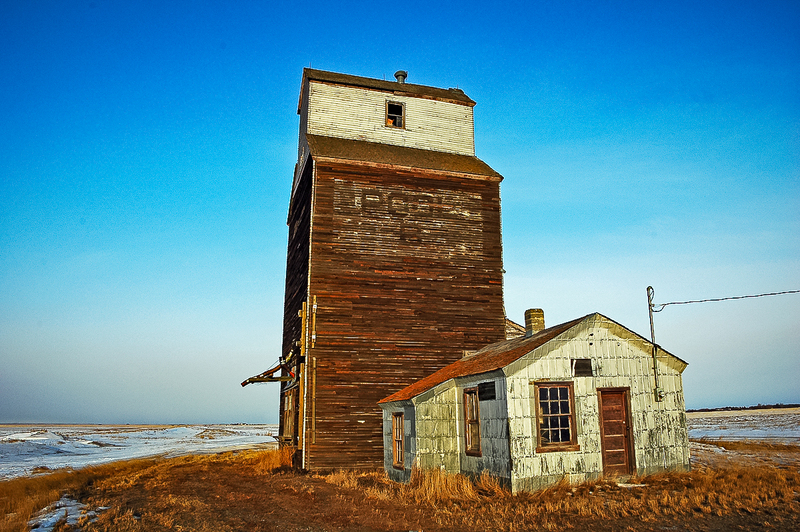 There was a grain elevator in the town of Eskbank, Saskatchewan. This elevator was once owned by McCabe, and became the Saskatchewan Wheat Pool “B” elevator.